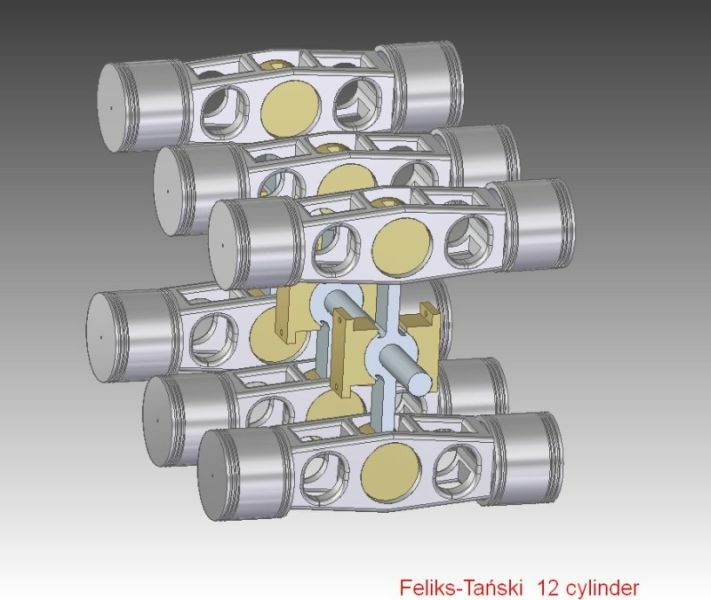 Merlyn, At the beginning of my project, I also only thought about the torque wrench, for which we have had a long-time sentiment .. but then it turned out that this feliks rollet may have a diameter of 30 mm. And I thought a little, that the diameter of the bearing, it's the approach with the torque wrench that does not fit ... because the screws would probably be 8mm ..
Of course, I do not exclude the possibility of a traditional torque wrench and classic rotary pins ..
My introduction to the Lister Blackstone TS3 engine to which Andrew refers must have been around 1963 when we first had one come in for overhaul from a ships lifeboat. This set up was unlike anything us apprentices had ever encountered before and as such was really different to any engine we had encountered before. 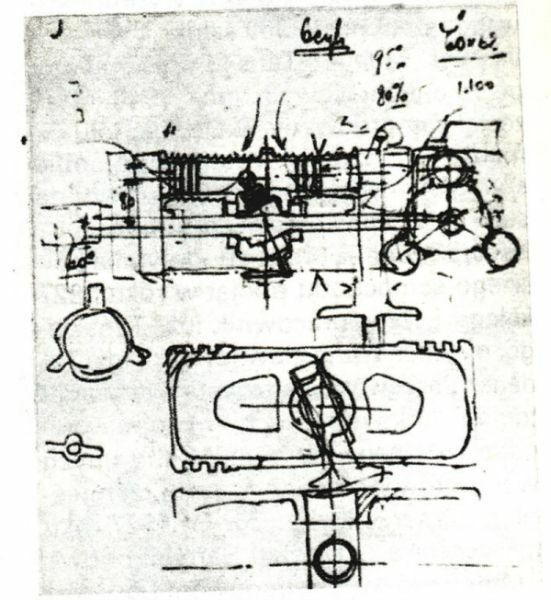 It was a very low in height engine owing to its design of three horizontal cylinders, direct injection and each cyl. Containing two pistons facing head to head. Each cylinder had special ports to control air inlet and exhaust being controlled by the pistons as this engine was a two stroke and although it had rocker gear the rockers were for transmitting crank motion and not valves. This rocker lever arrangement was unheard of, the nearest thing to it was the Sulzer ZG9 engine, it had a very different turbo blower which was not of the conventional design of compressor and exhaust blading being driven by the exhaust gases being pumped out of the engine but by a very long splined " quill " shaft which ran from the back end of the engine via a chain drive right through the crankcase and out the front end to a blower which was made up of three rollers which when stripped consisted of aluminum rollers supporting by bearings each end of the roller. Any bearing wear led to the roller contacts being overloaded and as such were scrap and normally as such were stepped and beyond repair. Even more unusually both sets of pistons drove only a single crank unlike most opposed piston designs having a crank at each end of the cylinder. 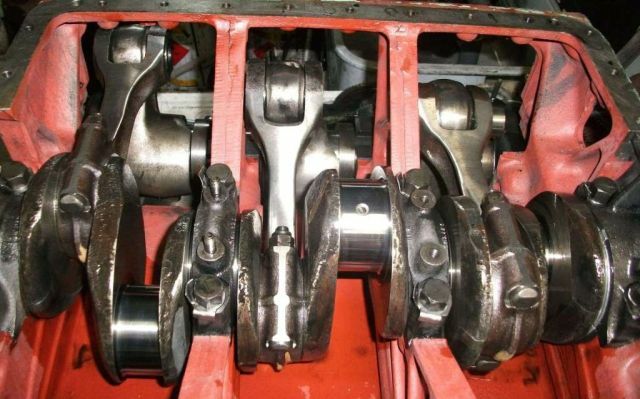 As such each piston drove through a connecting rod, a rocker lever and thence to a second connecting rod. So six crankpins and six rockers here. Now this turbo was really not a turbo but a scavenging blower necessary of course as this was a two stroke engine, you could do most work except crank bearings insitu. This engine had a noise like no other engine we had ever experienced before, when the throttle was blipped it whinnied exactly like a horse, really different indeed. Now on the control panel was a boost gauge, it was marked in p.s.i. Or green into red. This was the blower output and we soon learnt that on approaching the red or excess p.s.i. readings on the control panel this would trigger the design failure of the engine namely the failure of the quill shaft. Failure to take note of the in the red backpressure readings and taking the necessary decoking of the exhaust ports action would cause the shaft not to shear cleanly but to shatter leaving the razor sharp carbon steel pieces of the quill shafting inside the crankcase block inside a tunnel not much more in I.D. Than the OD of the shaft. Hence my mention of bar magnets and long extensions brazed / spotwelded to the magnet in an effort to get the approx. three quarter diameter broken bits of the shafting out of the block. As the years went by the manufacturer modified the exhaust porting in an attempt to rectify this common engine failure of the engine. Now this shafting arrangement was to be an introduction to me of the U.C.D syndrome which I was to encounter for the rest of my working life, I.e. to date. Early examples of this I was to find in Parsons turbines and other in particular medium speed Diesel engines. 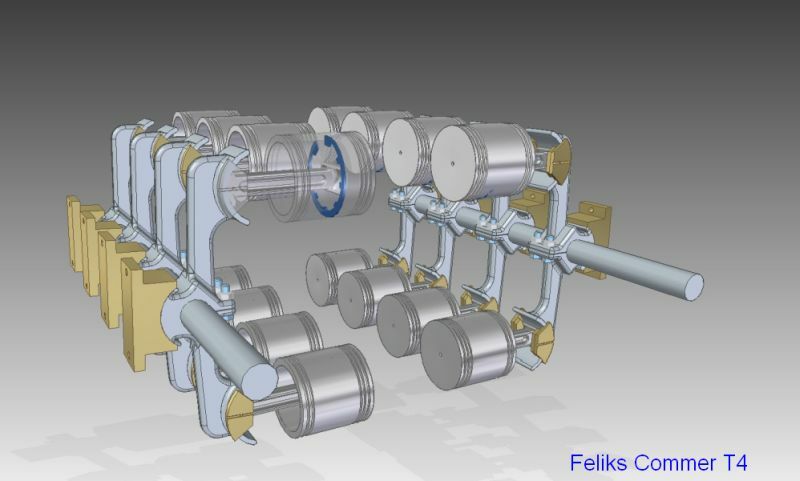 Single and Double reduction gearboxes primary/ input shafting contained U.C.D. In order to attempt to minimize damage in the event of a gearbox partial seizure and to avoid red hot pieces of herring bone sections of teeth being hurled across the engine room in the event of a major failure. 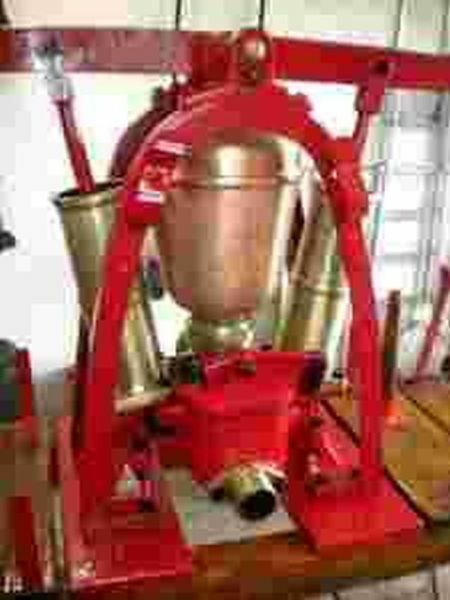 Plus of course many many gallons of red hot gearoil. This was considered also a safety feature. These U.C.D. had to be turned/ ground with the correct radius at either corner in order to fasciliate a clean break and as such reducing gearbox damage and / or injury by removing the input primary shaft turning moments. I have to say that it only worked reasonably well as most of the gearboxes I stripped were badly damaged and it would be a casing upwards rebuild in most cases. Beautiful pieces of work these gearboxes especially the older double reduction drive ones. None of the CNC work about then, all done by hand and older hands would often remark on the " over engineered " work we saw when stripped. So had the Lister Blackstone TS3 engine quill driveshaft had a U.C.D. Machining operation performed during manufacture it was considered by all hands that no where so much damage would have been caused by this design/ failure to decoke happening. Make a good carbon steel thin chisel though. So this was the answer I sought, the common failure reason of the TS3 engine. Why two scraper rings on your pistons? Can you do an opposed piston version? Not much top land shown? Run a bit hotters maybe? By the way, Merlyn, maybe you know someone who would be ready to tell me some of these coconut husks for this solution ...? 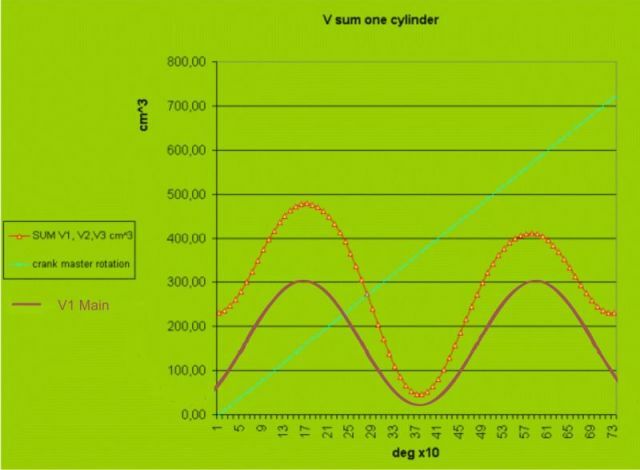 I have a ralny and proven idea how to use 40% of the heat lost in the engine and convert it in a simple way to electricity. way it can be super cheap, but it has another great advantage .. It will work practically live time, or na na 100 years .. You can use it on a few more ships, use .. For power plants on diesel engines too, the matter is suitable .. I have exactly counted .. 1 MW costs 1 million dollars ..
Lots of ways to use the waste heat, boiler in the exhaust stack, use the engine cooling water and trubo charger air coolers to preheat the feed water and generate steam to drive a steam turbine and either generate electricity or mechanically feed the power back into the shaft. Turbo chargers are so efficient now that at high load there is plenty of spare energy in the exhaust gas that can be recovered in a power turbine and again used to either generate electricity or mechanically fed back into the engine output shaft. There is also the thermo electric effect that can generate electric power across large temperature differences. 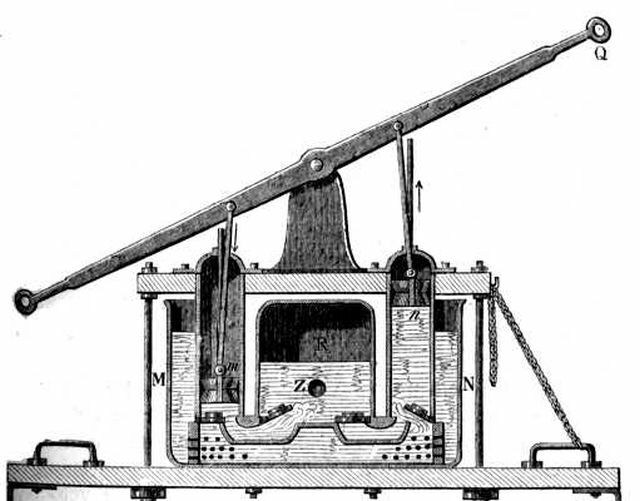 The Stirling Engine is a way to recover low grade heat, where the temperature differences are less, I understand that they can work with as little as 0.5 C temperature difference between the Hot and Cold side, and you could recover the remaining waste heat from the exhaust Gas, cooling water and Lube oil with them, and again use the power to feed into the main engine shaft or to generate electricity. Waste heat can also be used for heating purposes. Almost no energy needs to be wasted, so long as it is cost effective to recover it. Big Pete wrote: Lots of ways to use the waste heat, boiler in the exhaust stack, use the engine cooling water and trubo charger air coolers to preheat the feed water and generate steam to drive a steam turbine and either generate electricity or mechanically feed the power back into the shaft. Well, I've proven in this forum that I can wake up previously unknown matters. I would probably be ashamed if it was the case you describe .. The majority of them also have the property that they will spoil before they start, let alone talk about my 100 years of work, .. 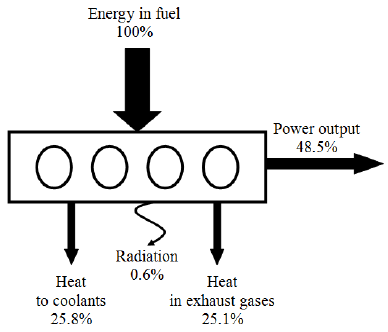 In addition, they are very complicated and it is not possible in practice to recover heat and convert it to electricity in 40% of the amount, as I propose ... that is, the ship is flowing using 25 MW of mechanical power, in my device converting heat into electricity, so that additionally, they had 20 MW of electric current added to the drive. None of the solutions you mention are known to me for many years, but not one, with such efficiency and reliability of this heat will not recover, in the way I described. The only thing to consider is whether it pays to put these $ 20 million into a 25 MW engine ... to have a total of 45 MW of energy. I think that this 100-year period will probably pay off. That's why I think coconuts still screwed .. Thanks for honest mention of the previous possibilities, which theoretically could settle this matter. But as you can see, almost none of them is used in practice .. with good benefits ..
Well, such different good ..
here you can see that my jumping volume of my new4stroke is very un-symmetrical .. Under pretty few years I have an eye on this thermodynamics and sometimes I will find something on the way. I do not consider this to be a very important matter, but in a world where the current thermodynamics is in vain, it could already be drawn ..
You can see a huge difference in capacity and its asymmetry ..
Last edited by Feliks on Tue Sep 11, 2018 3:02 pm, edited 1 time in total.